In the light of the upcoming meeting between the US President and the Chinese counterpart, some members of the US Congress have requested guarantees that the United States will comply with its commitments, contained in the Taiwan Relations Act, in relation to providing military support. The foreign ministry says several leading US lawmakers are asking President Barack Obama to keep his pledge to ensure Taiwan's security. Last week, four US congressmen sent a letter to President Obama. They asked him to be committed to ensuring Taiwan's security according to the Taiwan Relations Act and the six pledges that Washington made to Taiwan in 1982. That's as Obama prepares to meet with Chinese President Hu Jintao this week. Twenty-five senators also sent a letter to Obama about the need to provide Taiwan with defensive weapons based on the Taiwan Relations Act. On Monday [17 January 2011], the ROC foreign ministry expressed its appreciation to US lawmakers for their concerns over the security of the Republic of China. 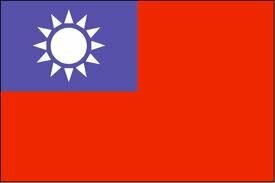 The Republic of China is Taiwan's official name. The foreign ministry called on Washington to keep its pledge as cross-strait stability and prosperity are crucial to regional security. The foreign ministry also said Taiwan has confidence in creating a win-win-win situation for the three sides.